We’re starting off with a nice and simple uptrend on USD/JPY. The pair is finding support at the 113.50 area, which is right smack where the mid-channel levels AND 100 SMA are. Even Stochastic is on the bulls’ side with an oversold signal that’s now poised to go up. Think the dollar still has momentum against the yen? 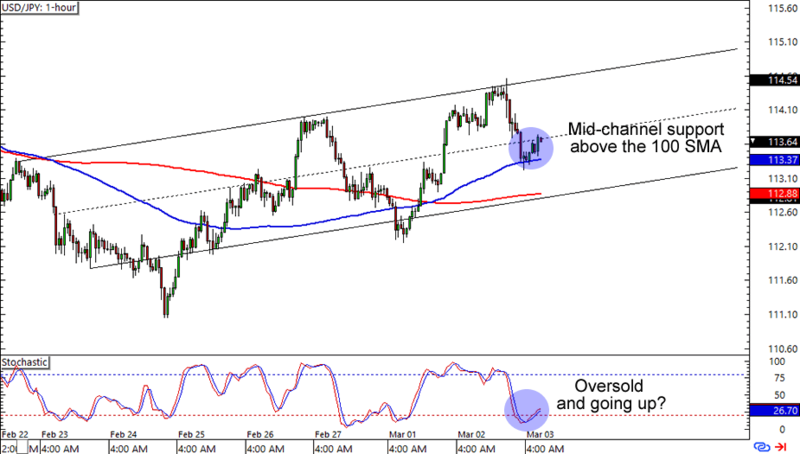 A long trade at current levels could get you some pips if you aim for the channel’s highs. Of course, you could also wait for a test of the channel support around the 200 SMA if you think that the Greenback would weaken a bit before popping back up. In the mood for a bit of tug-o-pips? If you are, then this one’s for you! GBP/JPY is lollygagging at the 160.00 major psychological level, which lines up with a 61.8% Fib and a previous support area on the 1-hour time frame. It won’t be that easy for the bears though. The pair has just broken a mini rising channel on the chart and could gain uptrend momentum if the bulls see that the 100 SMA has just crossed above the 200 SMA. What do you think? 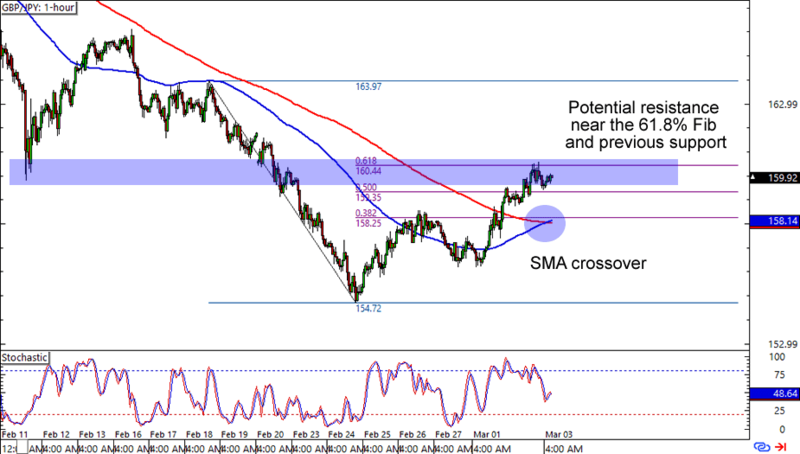 Is GBP/JPY due for a move lower or will the bulls sustain their momentum this week? Much like the GBP/JPY setup above, GBP/USD is also finding itself near a retracement area. 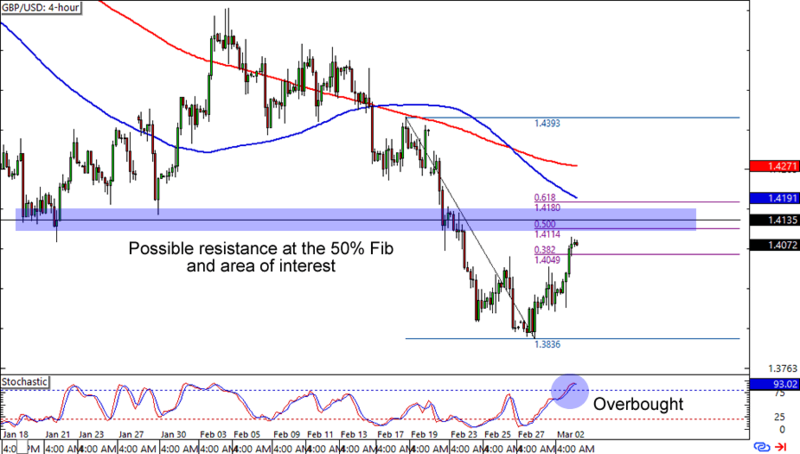 In Cable’s case, it’s fast approaching the 1.4135 levels, which lines up with a 50% Fib and previous area of interest on the 4-hour chart. It also won’t hurt the bears that Stochastic is already flashing an overbought signal. A short at the Fib lines could make for a good trade if you think that the pound would go back down to its previous lows.